This will be an interesting presentation to show innovation in reaching parts of any structure cost effectively. The speaker, Daniel Nugent, is the Operations Director at The Concrete & Corrosion Consultancy based in Canterbury, Kent. Daniel heads up the Bridge & Civil Structure division. He is responsible for the day to day running of all surveys and inspections in this department; liaising with Engineers, dive teams and technicians. 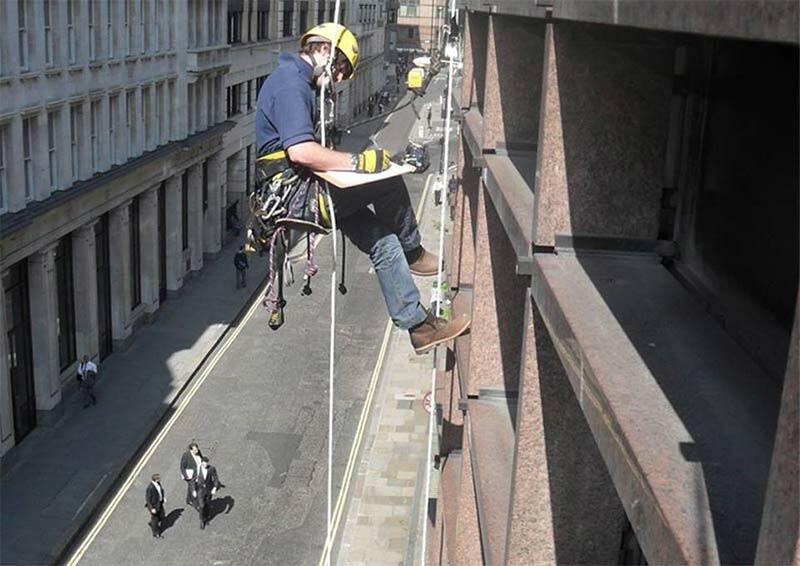 Daniel is qualified with IRATA, enabling him to carry out innovative inspections using rope access techniques and a qualified diver. He is among the first engineers in the UK to qualify under the new LANTRA Bridge Inspector Certification Scheme. He is an experienced presenter and a past winner of the South East QUEST Technician Scholarship (2012). After the talk, have a go! The climbing session will be instructed by two local civil engineers who are fully qualified climbing instructors, volunteering at the climbing centre in their spare time. It will be a great opportunity to get a feel for rope access, whilst networking with fellow civil engineers. Pre-booking is essential as numbers will be restricted.